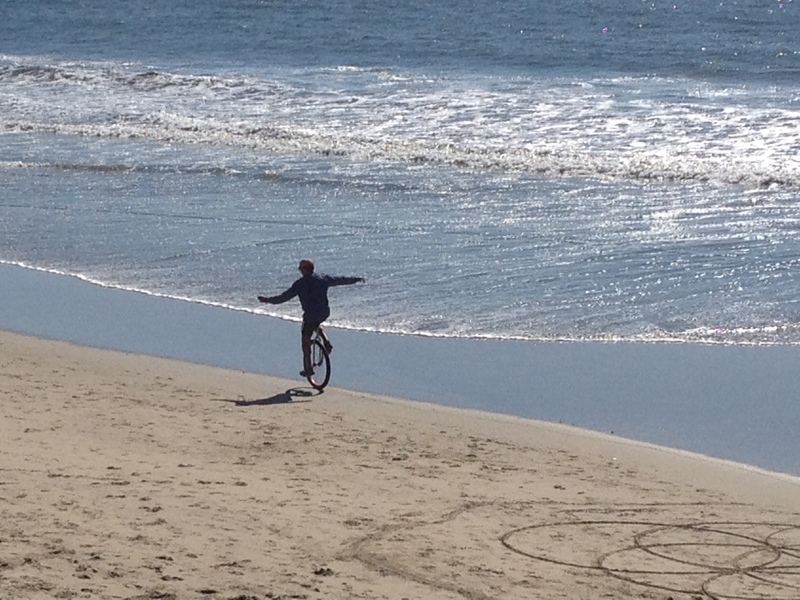 At the weekend we drove down the coast to Half Moon Bay. This is a lovely, hippy beachside town with sandy beaches, breaking surf and excellent restaurants. 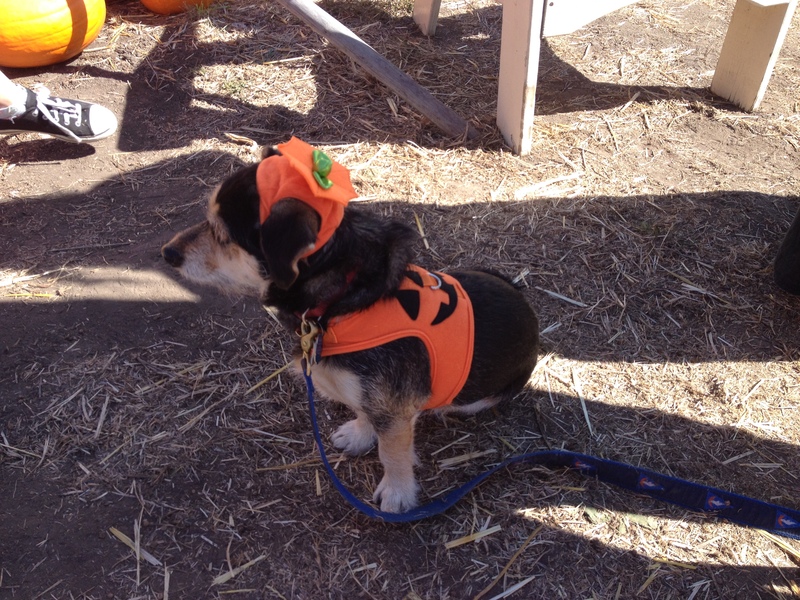 And a penchant for pumpkins. 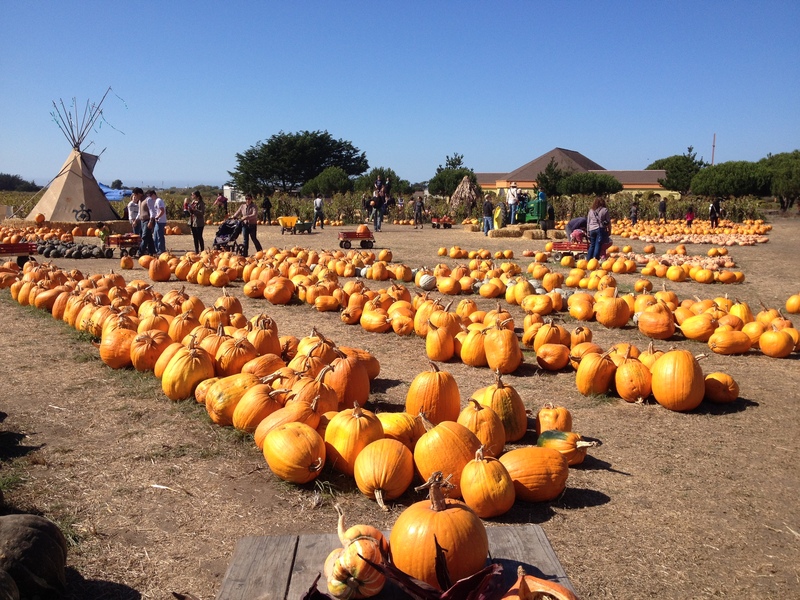 We didn’t know until we got there, but the area around Half Moon Bay celebrates Autumn with a pumpkin festival. The festival itself was earlier in the month, but even so, we saw more pumpkins on Sunday than you can shake a stick at. Pumpkin farms were littered all over the place and pumpkins were littered all over those farms. 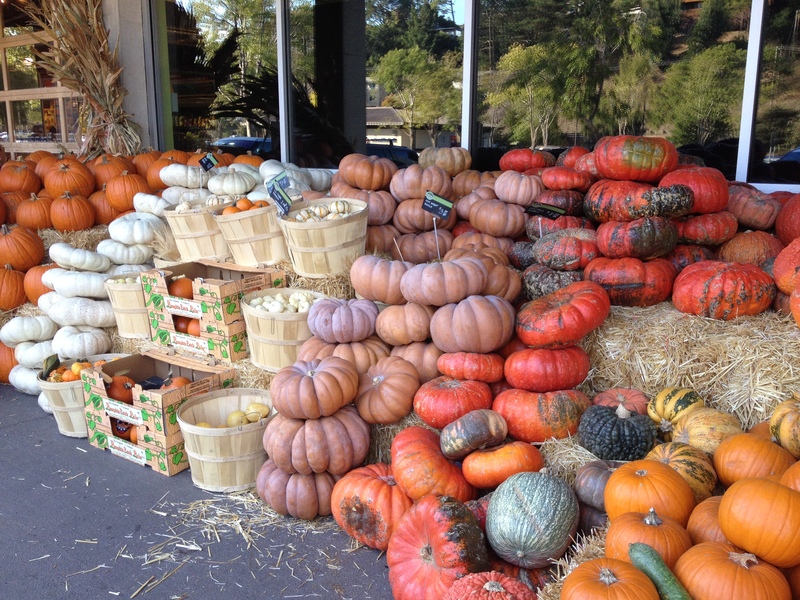 What an array of pumpkins there was: all colours, shapes, sizes and textures. 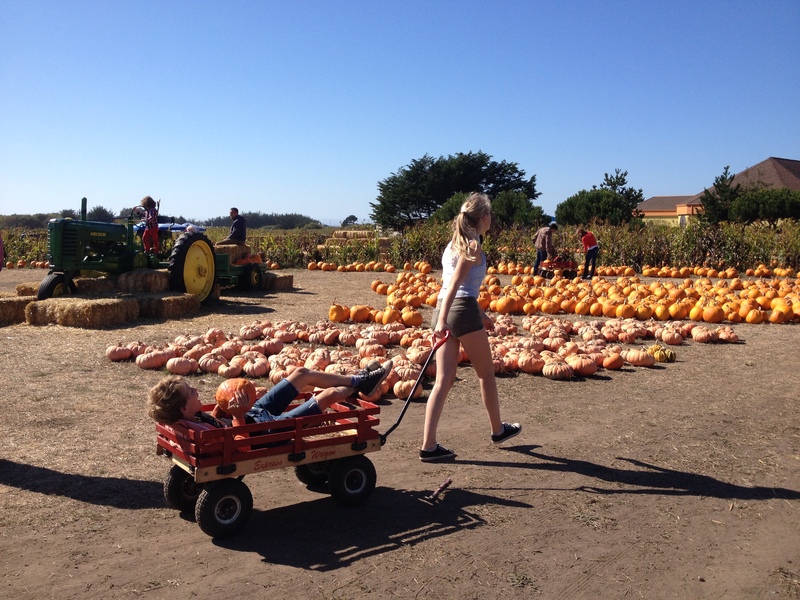 And so many people buying the pumpkins by the wagon-load! Judging by the houses around us and the hugeness of Halloween here (there will be more on that in another blog), many of those pumpkins were destined to sit on doorsteps as decoration rather than in stews (though I’ve seen some strangely flavoured foods in the supermarkets too: pumpkin popcorn, pumpkin truffles, pumpkin ale and pumpkin pie, to name but a few). 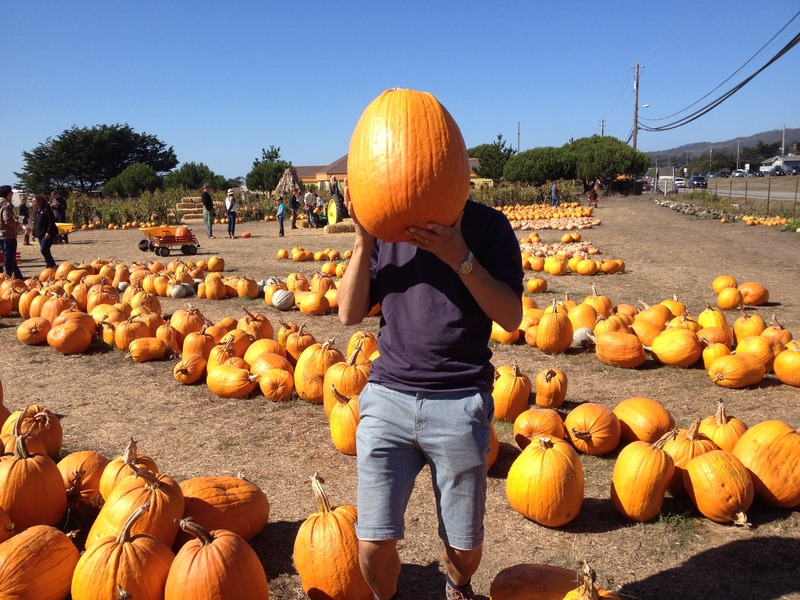 There were so many pumpkins, so many people buying them and such a strong connection between pumpkins and Halloween that it begs the question: Which came first – the pumpkin or the business of Halloween? 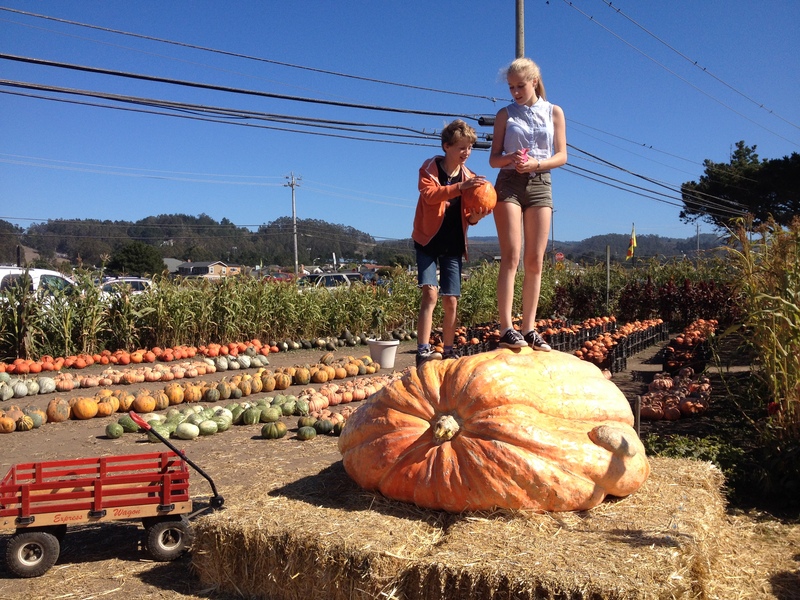 THIS was the largest pumpkin we saw. It had been glazed for protection, but it was definitely the real thing. From the fields to the stores. Whatever squash you want, WholeFoods has it. Halloween costumes aren’t just for people, you know!